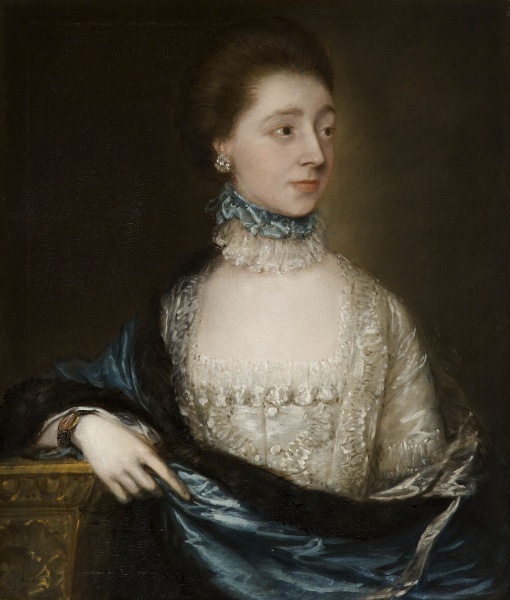 Gainsborough used the fashions of his day to great advantage. He painted silks, lace and trimmings with a skill that made them as much a feature of his portraits as the sitter’s likeness. This elegant lady leans on a giltwood pedestal as she draws a fur-trimmed satin cloak around her. Her wrist reveals a miniature of a gentleman in red.